Frugality is becoming a trend, and “frugal cellular” innovator, Twigby, is disrupting the industry yet again. Any new Twigby line of service can receive this offer whether you bring your own phone or purchase one directly from Twigby. Twigby: The wireless company of choice for value-seeking shoppers. We have always said we really do want to drastically decrease monthly phone bills – somewhat turn traditional cell phone service upside down.. Technology allows us to deliver more value at the lowest price in the industry, and this is what we're all about. 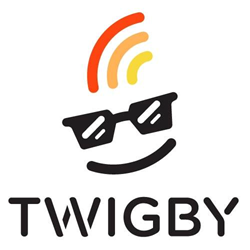 A value leader, Twigby is the company that developed the idea of “pay only for what you use” cell phone service which has resulted in massive savings for its customers. Today, Twigby announced a special promotion where anyone signing up for their value-leading cell phone service will receive half off two months of service. An example of the savings: 200 minutes and unlimited texting for only $4.50 (normally $9 a month) or unlimited talk and text plus 1GB of data for only $12.50. This is normally $25 per month. “We started Twigby to show that there was a better way to both drastically lower prices and deliver a better experience. With this promotion, we are welcoming value-conscious consumers to see for themselves. Making the switch is no risk with our 30-day 100% satisfaction guarantee. Our number one focus is to be customer-centric. This principle guides us on how we can best meet the needs and wants of the value-seeking shopper. We do not have contracts and expensive phone financing, but earn our customers’ loyalty every single day with the high value we provide,” said Matt Owens, Vice President of Marketing at Twigby. Create an account at http://www.twigby.com. Either order a Twigby phone or SIM card (including free shipping) or activate a compatible phone. The promotion is only valid on new customer accounts or a new service line on an existing account. Limit of five discounts per account. At any time, customers can change their plan with plans starting for as little as $4.50 a month. With free Twigby Overage Protection, your bill will never increase. “We try to make it easy for consumers that are fed up with paying for more than they need to cancel their overpriced cell phone service while getting quality service on two of the nation’s largest networks, thus making it possible to stay connected whenever you might need it. And with two months of half off service, many consumers will instantly put a lot of money back into their wallets, which they can use on more important things. “We have always said we really do want to drastically decrease monthly phone bills – somewhat turn traditional cell phone service upside down.. Technology allows us to deliver more value at the lowest price in the industry, and this is what we're all about,” said Owens. Twigby has developed a very loyal customer following and had much recognition from industry experts such as PC Magazine, Clark Howard, WhistleOut, Best MVNO, The Penny Hoarder, and more. The most recent customer satisfaction rating sits at 98%, well above the industry average. Twigby is a privately held company and one of the most diverse telecommunications companies in America - with well over 100 years of wireless telecommunications experience within its management team. This group took on the status quo approach of how other carriers force consumers to choose from one-size-fits-all plans. If it's more than they need, they would still pay for it. If it includes too little, consumers were socked with overages. At Twigby we created a platform where consumers create their own custom plan, putting them in control. All while using two of the nation’s most reliable networks. Visit http://www.twigby.com for more information. For customer assistance, please visit the Twigby help center or chat with the Twigby support team.